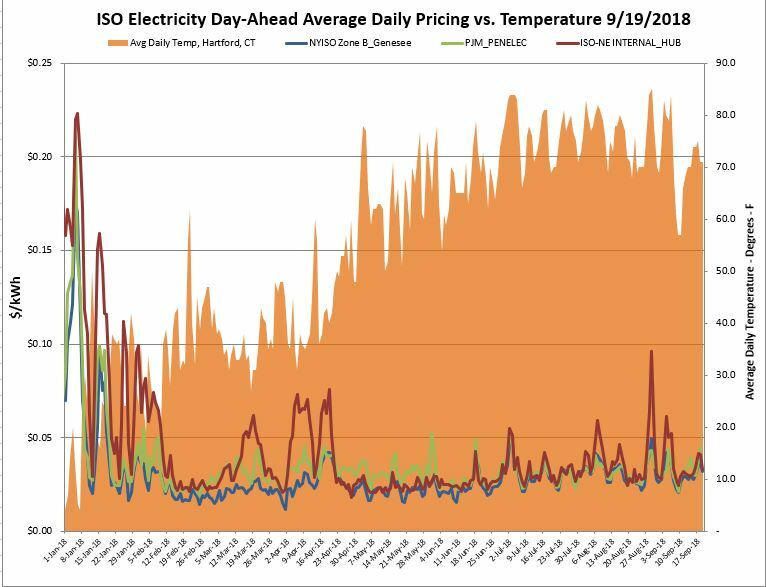 Electric prices have increased in all markets; New England is approaching levels not seen since 2015. 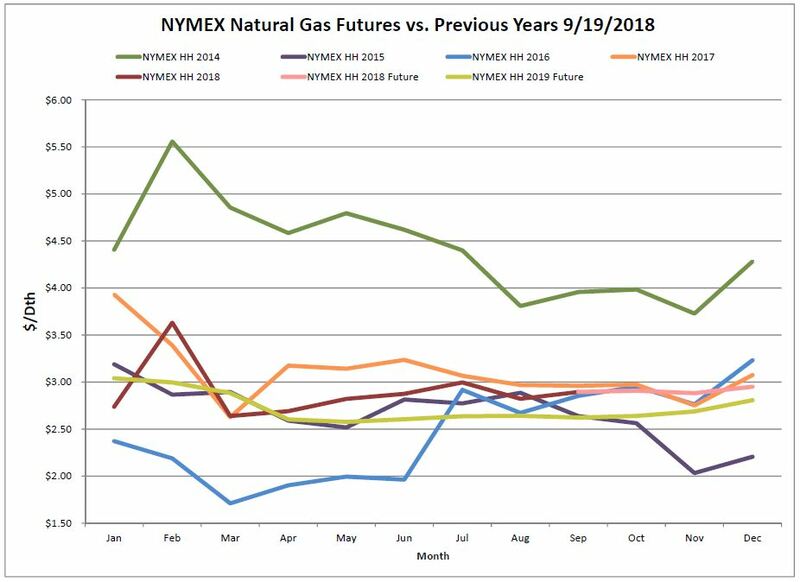 These increases appear correlated to the underlying price of natural gas. The region has enjoyed an unseasonably warm week in September with very little reaction in the markets. There was very little movement in the NYMEX over the 12-month strip, netting only a $.02 increase. The prompt month has seen the steepest increase; whether it will break through the $3.00 mark remains to be seen. The underlying Algonquin Basis saw the sharpest upward movement this week at $.08 over the 12-month strip. 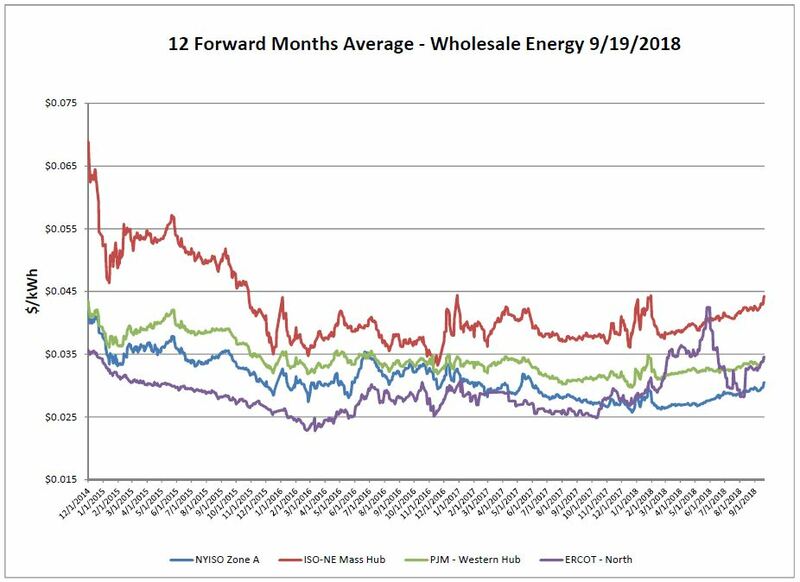 Several nuclear power facilities in the Southeast region were offline due to Hurricane Florence along with others undergoing scheduled maintenance; this has led to an increased strain on natural gas demand for power burn. 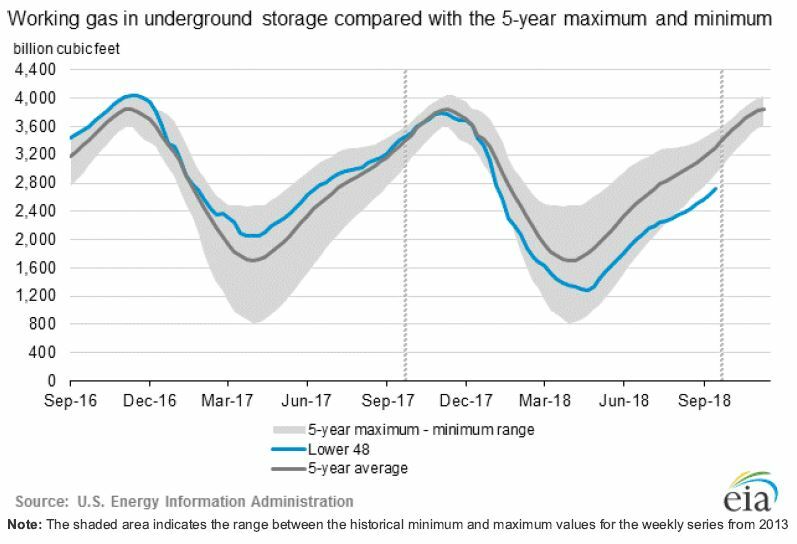 According to EIA estimates, a net increase of 86 Bcf was reported with working gas in storage at 2,722 Bcf as of Friday, September 14, 2018. This came in between last year’s injection of 96 Bcf and the 5 year average of 86 Bcf. Although a healthy injection it is not enough to close the gap that has formed below the five-year historical range. 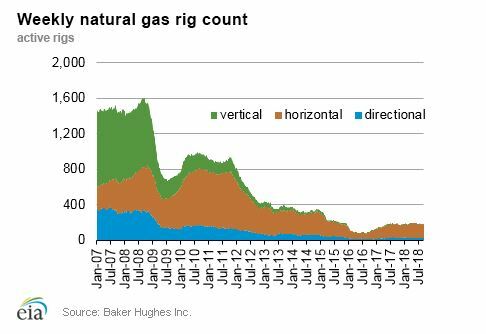 The Baker Hughes exploration gas rig count is again unchanged from the previous week at 186. This is 4 below this same time last year when there were 190 rigs in operation. The Carolinas continue to clean up from the destruction of Hurricane Florence. The Southern half of the US is predicted to be warmer than normal in the coming week while the Northeast is predicted to have normal to slightly below-normal temperatures. 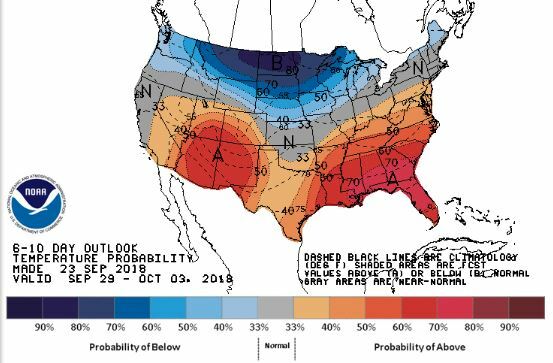 North Dakota is expected to experience cold far below the norm for the end of September. The residents of a small part of eastern Massachusetts were shaken by an unprecedented natural gas disaster on Thursday.